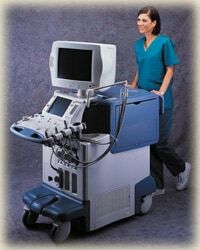 IRG Diagnostic and IRG Imaging recognizes the importance of prompt, professional service in the Pittsburgh region.IRG started in 1991 with a single imaging center in Western Pennsylvania and has grown to multiple locations throughout Pittsburgh and Western Pennsylvania. The mission of IRG is a simple dedication to providing quality service and patient care. This is being accomplished with its facilities keeping pace with technological changes to provide the most advanced, independent, diagnostic centers in the region. Learn more about IRG.